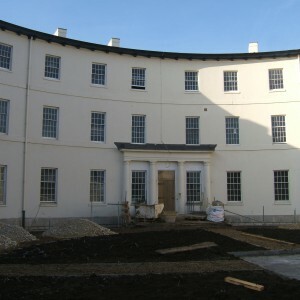 The original proposals for the first public lunatic asylum to serve Gloucestershire were raised as early as 1793, some thirty years before it was finally opened. Originally conceived as a purely subscription funded institution for nearly twenty of those years, the inclusion of rate-aided paupers and the Justices who were to fund them played a major part in the proposals actually coming to fruition. 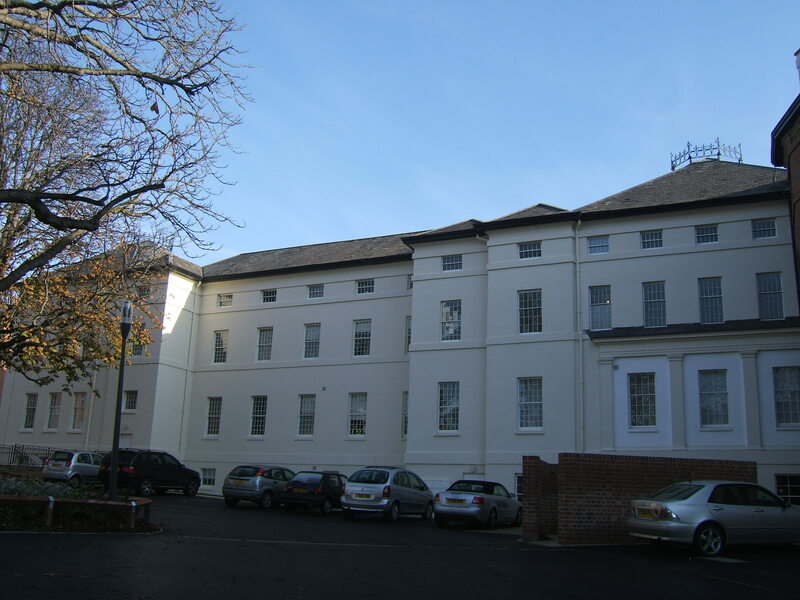 The original finances for the asylum had come from a fund started by the Gloucester Infirmary and in accordance with this a site was purchased in 1794 adjacent to the Infirmary with the intention of constructing the asylum there. 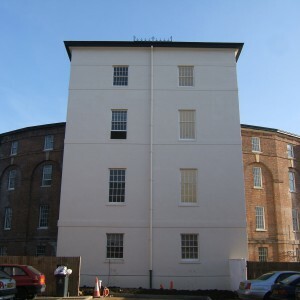 The building was to be modelled on the York asylum, opened in 1777 and the project was taken up by philanthropist, prison reformer and former High Sheriff of Gloucester, Sir George Onesiphorus Paul. 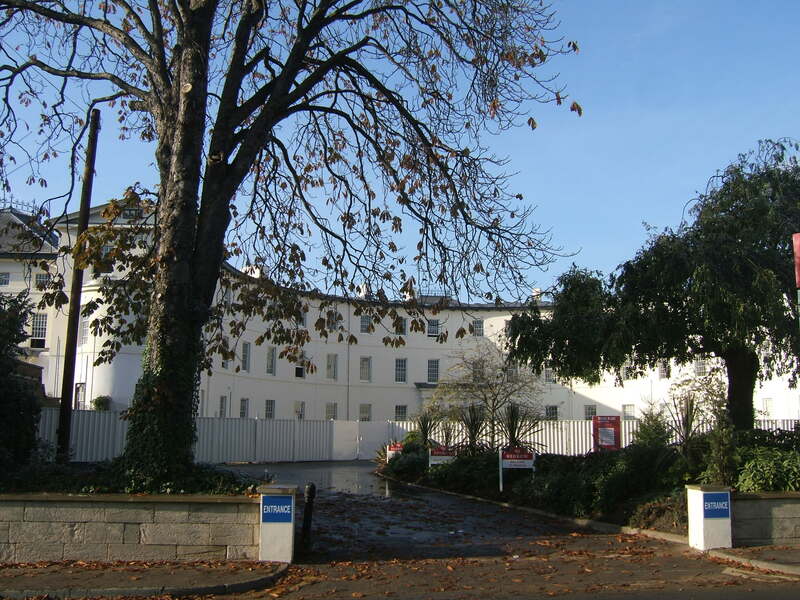 Delays in obtaining further funding and concerns about ongoing maintenance costs dogged the development of the asylum and construction never took place at the site adjacent to the hospital. By 1811, a site at Wotton was identified as a preferable location, at that point being in open countryside, with the old site being sold to the infirmary. 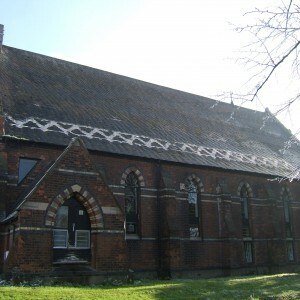 Advice on the development was sought from the York and Nottingham Asylums. Plans were developed for the asylum by William Stark who had previously designed the Glasgow Royal Lunatic Asylum’s original Parliamentary Road building, which opened in 1814. In common with Glasgow, the asylum at Gloucester was to be based on the radial plan, albeit as a variant. The central section formed a crescent containing the accommodation for fee-paying wealthy patient’s, described at the time as ‘opulent’, whereas the chartable and parochial cases were to be accommodated in the less attractive conditions in the wings. The crescent also provided the location of the original home of the superintendent and included the main entrance to the complex, set back from the road by a circular driveway. The model of Nottingham Asylum and the 1808 permissive act which had allowed it formed an attractive proposition to some of the members of the committee and it was decided in 1812 to admit both the County and City of Gloucester to the scheme. 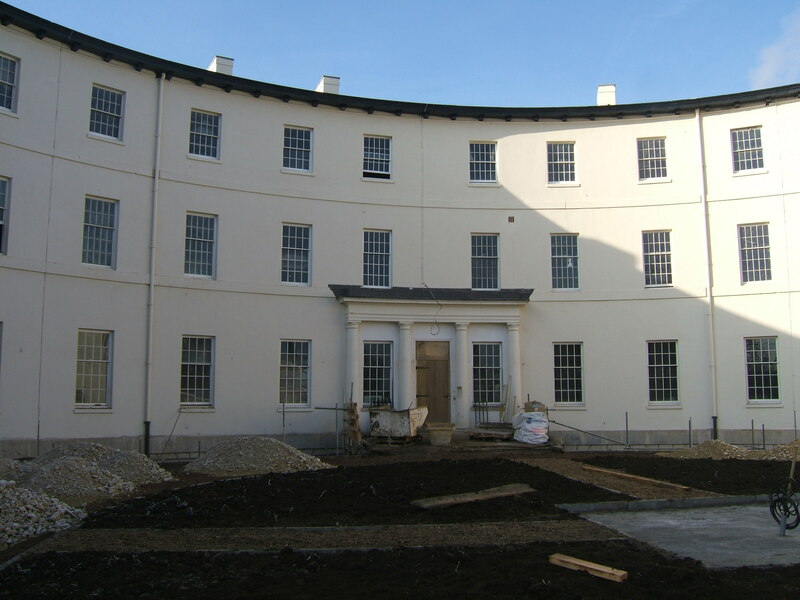 The advantage of including the local authorities within the scheme was to ensure a source of continuous funding for the institution through the rates, and the addition of momentum to the plans for constructing the asylum. The local authorities would also take on the care of the parochial cases and wards.The 1808 Act resulted in the asylum becoming a majority County establishment, with Gloucestershire holding a majority hold of the complex, taking a 55% share, the City of Gloucester only 5% and the remaining 40% retained by the subscribers. The subscribers refined the right to admit the ‘opulent’ fee paying patients to their wards and to use the money earned to support and offset charitable cases who could not afford treatment but were considered deserving enough to avoid pauper status in the County and City wards. A further setback occurred in 1813 with the death of architect William Stark aged only 44 years. A local replacement, John Wheeler was engaged and was asked to modify the plans and under his direction building finally commenced in 1814. Sir George Paul, concerned about escalating costs and financial arrangements attempted to intervene but was overruled by the committee and development proceeded, spurred on by the County. Once again financial problems on the part of the subscribers brought a further halt until money could be sought to continue. The County, who had become unwilling to continue funding the development of sections of the asylum within which it had no operational interests, were also reluctant to continue building whilst the Subscribers, and also the City delayed in paying for their shares of the cost. The delays once again took their toll as in 1817, John Wheeler also died and a third architect was engaged, John Collingwood, surveyor to the County of Gloucester. Noisy wards were omitted to reduce the costs and instead these inmates and reductions to the plan were sought elsewhere with the distribution of fee-paying, charity and pauper wards revised. 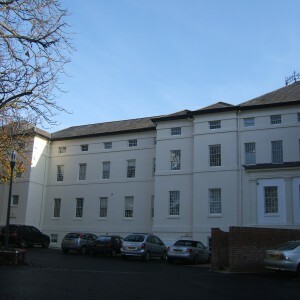 Advice was received from Stafford Asylum’s director, John Garrett who assisted in recommending alterations to the complex and the furnishing of the new asylum. 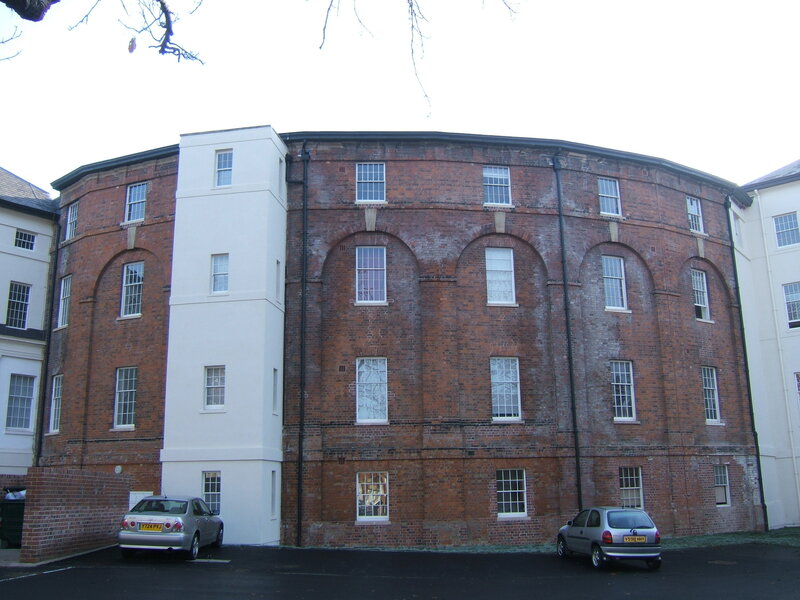 The Gloucester Asylum finally opened on the 17th July 1823, some thirty years after the project had commenced and even nine years after construction started. Sir George Paul had not lived to see his influence come to fruition having died in 1820. Gloucester had finally joined Nottingham, Bedford, Norfolk, Lancaster, Wakefield, Stafford and Bodmin in being the first wave of County Asylums developed from the 1808 act. 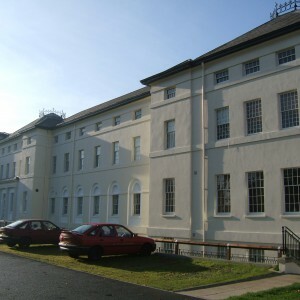 The new asylum, somewhat modified from Stark’s original concept was intended to accommodate a population of 120, sixty of which were to be pauper inmates, with the remaining sixty to be split between private fee-paying and charitable patients. 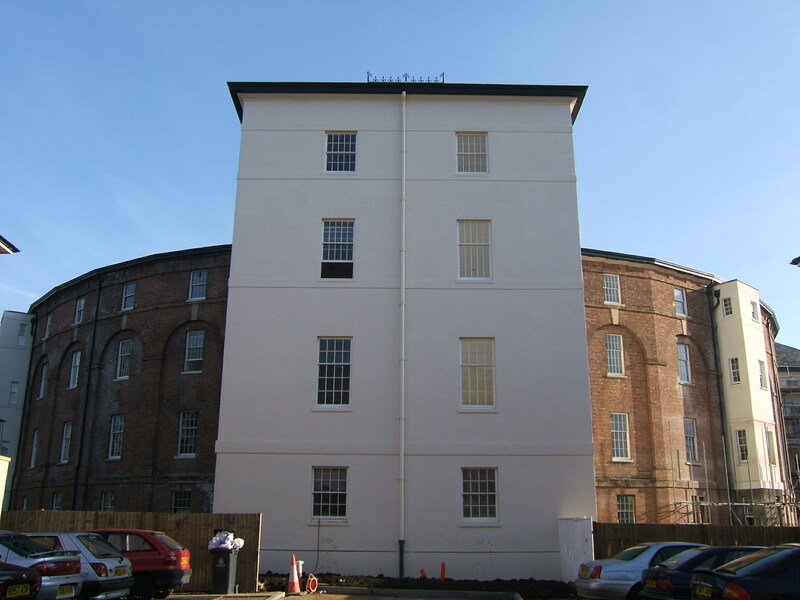 The distinctive three storey crescent with basement was retained as the main bulk of the complex, with a pair of two storey detached ward blocks linked to it to the north and south extremities by covered arcades for male and female inmates respectively. The appointment of the first Superintendent went to George Poynder, formerly of Bethlem Asylum and subsequently the first superintendent of the Barming Asylum, Kent. Samuel Hitch replaced Poynder in 1828 and was a young, keen and progressive superintendent, taking the post aged only 28 years old. Hitch was keen to follow and develop on the work of Ellis, Conolly and others of the tim in advocating non-restraint, whilst also allowing an uncharacteristic amount of trust and freedom for the inmates for the time. He would go on to set tup the Association of Medical Officers of Asylums and Hospitals for the Insane in 1841 whilst still at Gloucester, which in time would become the Royal College of Psychiatrists. A fire damaged the new asylum when embers from the flue i the boiler house caught the rear wing of the complex alight, damaging much of the central section and it’s roof. Damage also extended to Dr. Hitch’s quarters and he was subsequently compensated for losses he incurred whilst attempting to protect the institution. 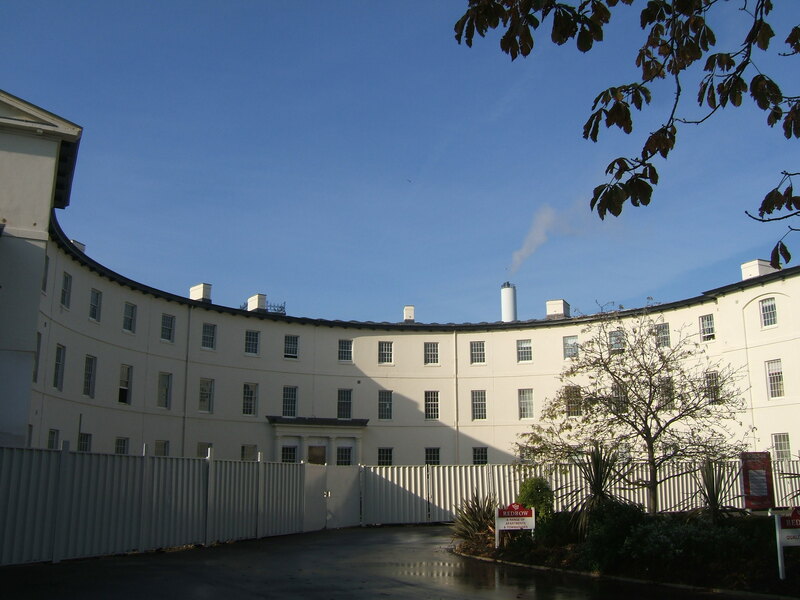 The fire insurance allowed not only for the replacement of the original roof with cast iron fireproof sheeting but also conveniently financed the construction of the noisy wards omitted previously. By 1838 the capacity of the asylum had reached 190 inmates of all classes. 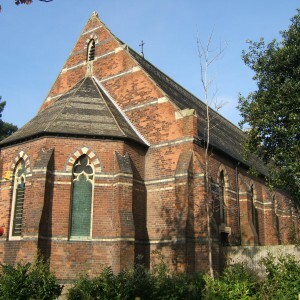 Plans were developed for further extension to the premises to the plans of Thomas Fulljames and Frederick Sandham Waller. 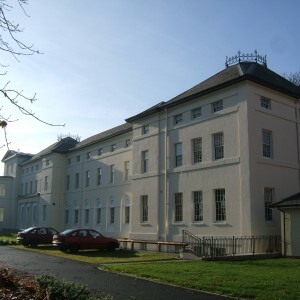 Fulljames and Waller would later take on the development of new asylum projects in Wales for the Joint Counties at Abergavenny and the North Wales Counties, Denbigh. 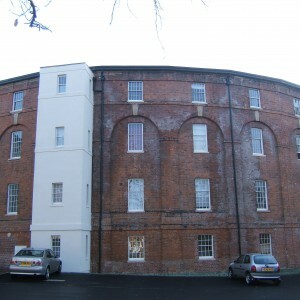 The west wing at Gloucester,located behind the main entrance to the crescent was extended between 1842-6 and a new chapel at the front of the complex in 1849. The extensions resulted in a rearrangement of the wards as well as a revision in the division of maintenance in 1843 and again in 1847. 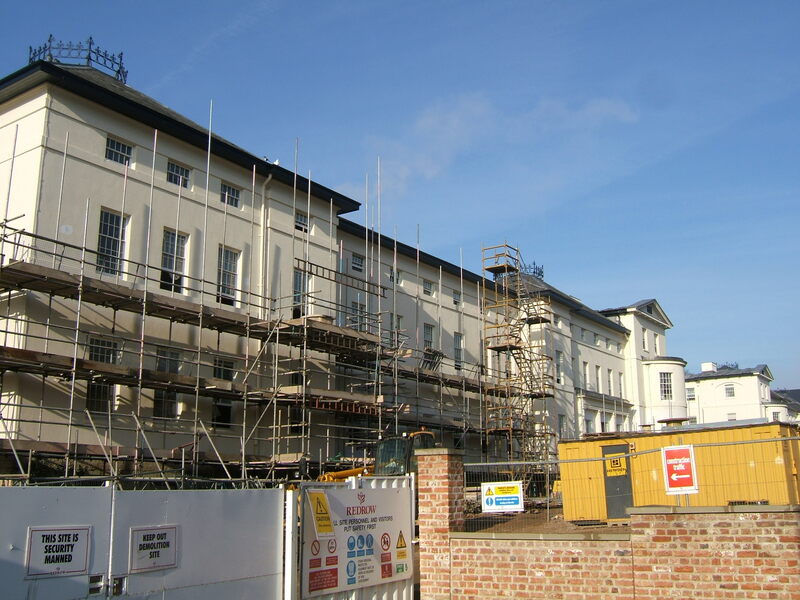 Further expansion under architect James Medland in 1852 and 1854 saw the expansion of the pauper wards to the south and north, over the original loggia to join onto the crescent and linking corridors being constructed behind the crescent in red brick to full height. The corridors avoided the necessity of walking through the galleries of the wards to access the north and south wings. The Subscribers, having been subjected to pressure from the county to admit ever increasing numbers of paupers decided to leave the union which was dissolved in 1856 with the share bought out by the remaining bodies. The subscribers transferred their patients to the private Fairford Retreat and Asylum near Lechalde, before opening their own premises at Barnwood House a short distance east of Wotton. 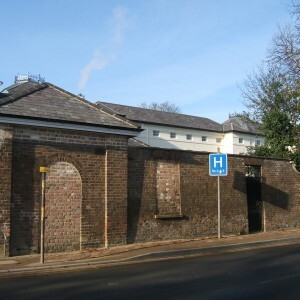 With the former charity and private wards vacated the crescent area was free to be converted for the use of pauper inmates as well as a small number of fee-paying inmates installed by the county. 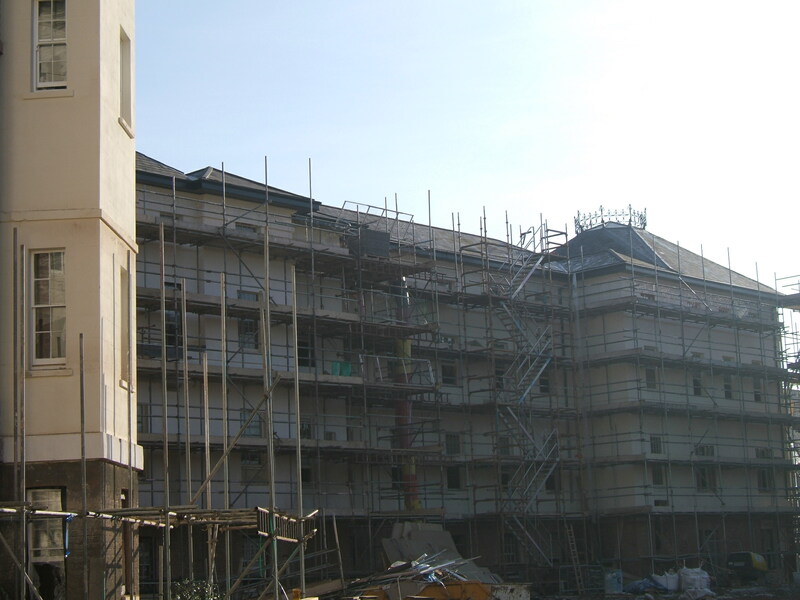 A further floor was added to the original north and south wings bringing them to the height of the crescent block. 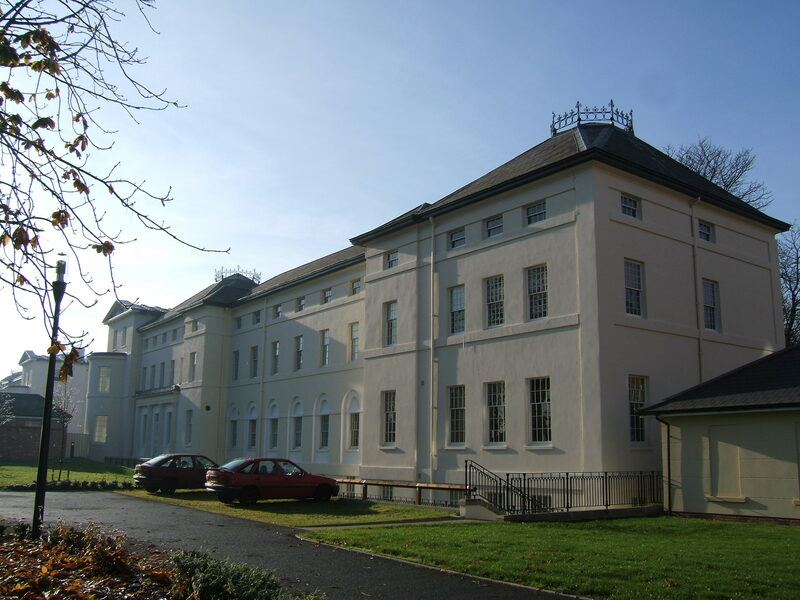 Construction of the new extensions was delayed by another fire in the north wing in 1858, and a new Superintendent’s residence, later known as Collingwood House, also designed by Medland was built on land opposite the hospital on the east side of Horton Road. The combination of space released and new additions allowed the inpatient population to reach 400 inmates. 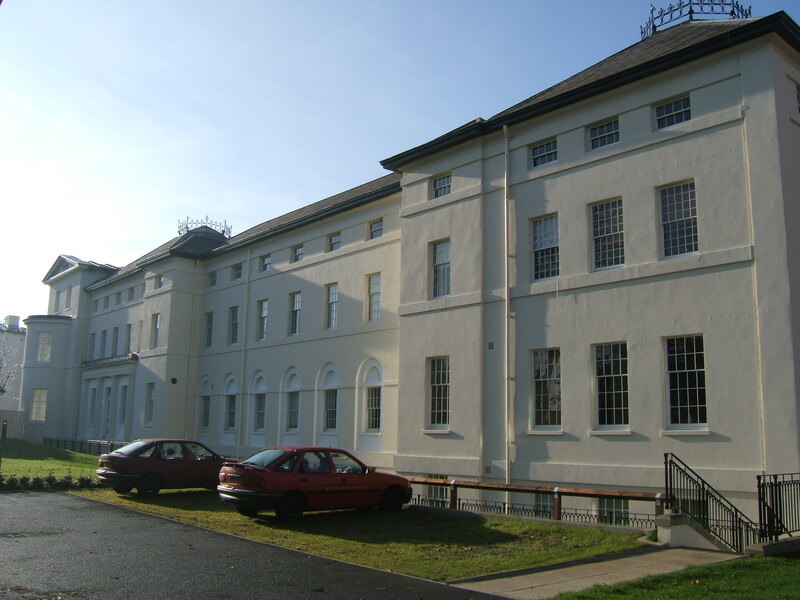 The last major phase of expansion of the Wotton Asylum took place during the 1870 and 80’s, with a new three storey block added to the south west for females, and a similar detached block to the north for males. 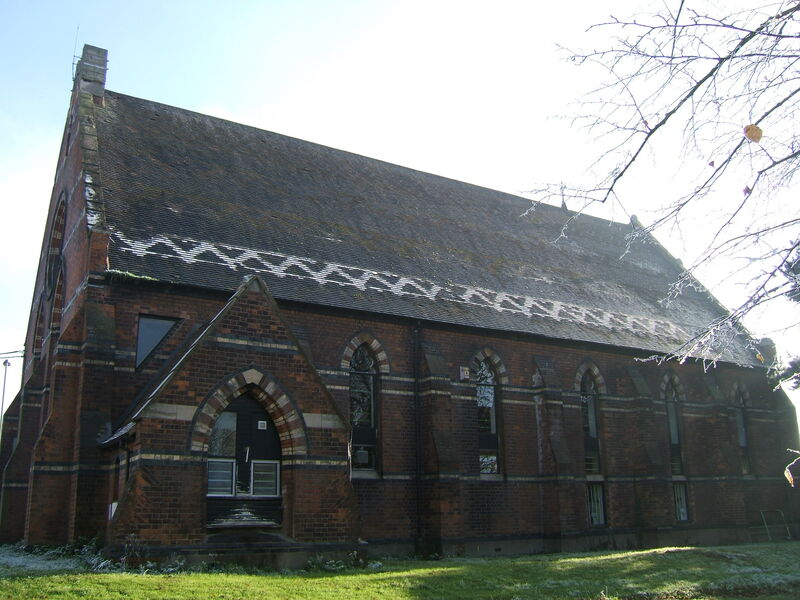 the detached block was linked to the north wing in 1885 with the construction of a single storey day room. 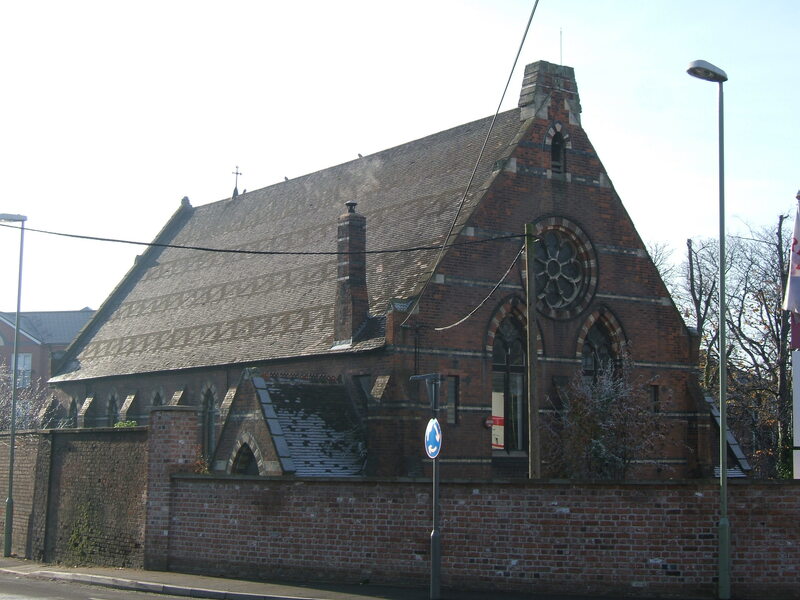 A new Chapel also designed by James Medland, was constructed on the former burial ground directly to the south of the asylum, replacing the one constructed in 1849. The County of Gloucestershire, keen to limit further development on the restricted Wotton site purchased land to the east at Coney Hill, a short distance to the south of the subscriber’s new Barnwood House Asylum. Coney Hill had been planned as an extensive complex initially but was never to reach it’s projected capacity as the county decided to implement only the initial phases of it’s construction leaving the majority of the ward blocks permanently unbuilt. The truncated complex opened in 1883, receiving paupers from Wotton and out-of-county asylums where some had been boarded due to lack of space. 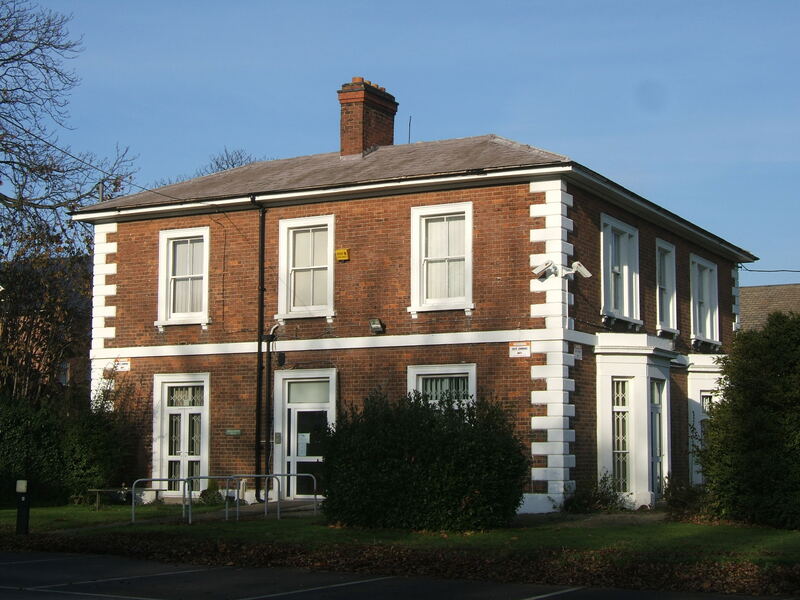 Private patients were also transferred to the more rural Coney Hill where congenial surroundings and more hospitable and modern facilities were provided. 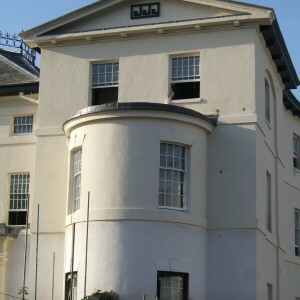 Wotton Asylum remained the principal of the two complexes with management of both combined at the original asylum and Coney Hill retained the effective status of an annexe until 1948 despite a number of additions taking place at the newer institution into the 20th century. 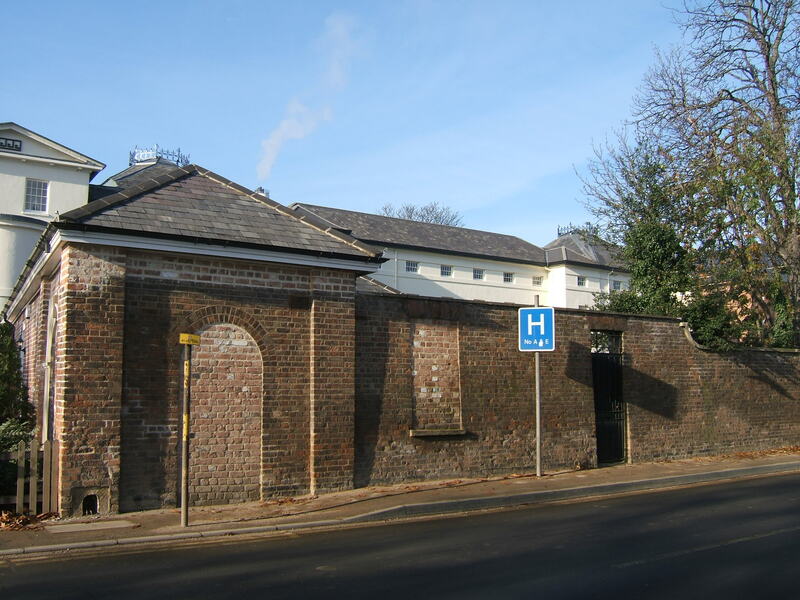 Both institutions received inmates transferred from the Fishponds Asylum at Bristol during the Great War as it was turned over for use as the Beaufort War Hospital by the military. 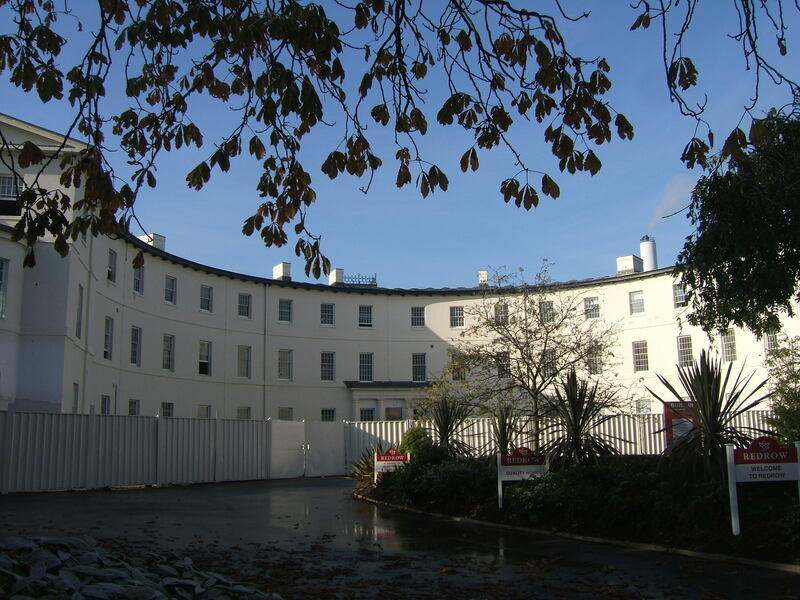 The development of a nurse’s home followed in 1931 but Gloucestershire County Council seemed reluctant to allocate large sums of money to developing new admission facilities at either site. Similarly, the care of the mentally defective of the county was sought at other institutions instead of the setting up of a dedicated colony. With the Royal Western Counties Institution (Starcross, Devon), Brentry and Stoke Park Colonies (Bristol) within a suitable distance of Gloucester, such cases were admitted there. Villas were constructed for Gloucestershire defectives at Stoke Park Colony on it’s Stapleton Park complex, later Purdown Hospital. 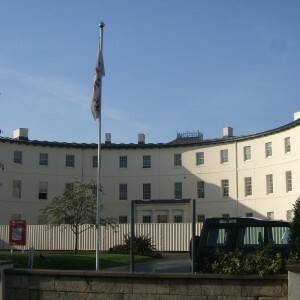 World War II brought about the evacuation of a number of hospitals for the Emergency Medical Service, of which the newly constructed and partially completed Barrow hospital, Bristol was one, the inmates relocated to Fishponds and others such as the Gloucestershire mental hospitals. 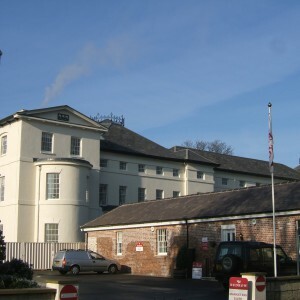 Peace time brought the creation of the National Health Service in 1948 and both the Gloucestershire Mental Hospitals were renamed, the Wotton site becoming the Horton Road Hospital. 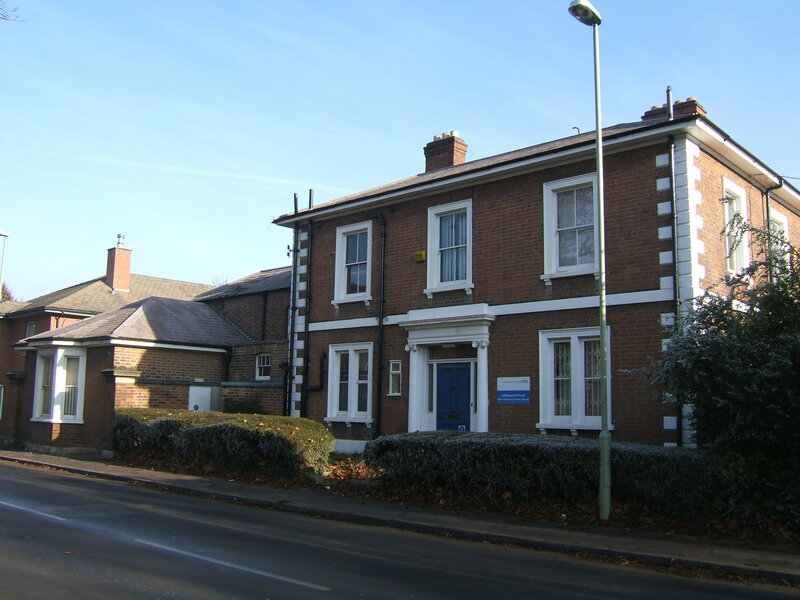 The management of both hospitals was reorganised and passed to the Horton Road and Coney Hill Hospital Management Committee (HMC) under the South Western Regional Hospital Board. 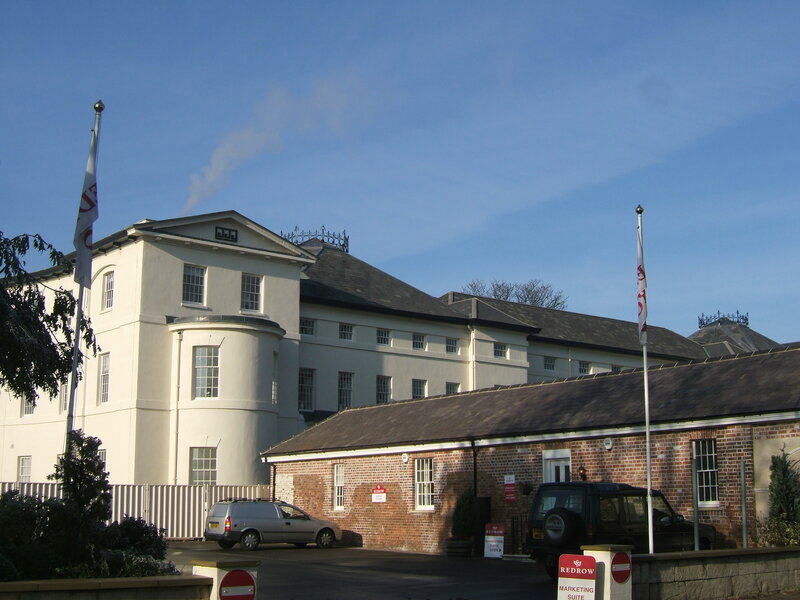 The local management of the hospital was lost in 1965 when the HMC was merged with those of the General and Maternity hospitals to form an expanded Gloucester, Stroud and Forest HMC. These bodies in turn formed the Gloucester Area Health Authority under the new South Western Regional Health Authority from 1974 with the reorganisation of local authority areas and their respective health bodies. 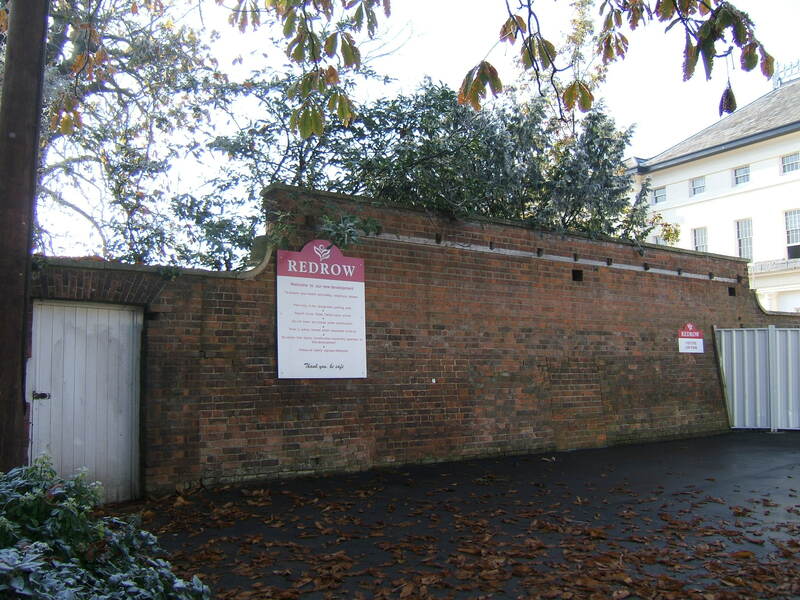 Efforts were made to modernise and improve conditions at Horton Road hospital, although some reminders of it’s early days remained such as the stone beds in the basement of the crescent. 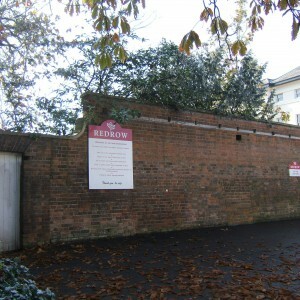 New developments took place to the rear of the complex during the 1970’s with the development of the tower block of the new Gloucestershire Royal Hospital (GRH) which was constructed on ground to the east of the former Poor Law infirmary which had subsequently become the Gloucester City Hospital, on Great Western Road. 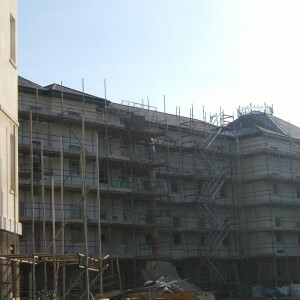 This process resulted in the eventual closure and demolition of the City’s historic Gloucestershire Royal Infirmary at Southgate Street, of which the asylum had originally been intended to be an extension of. 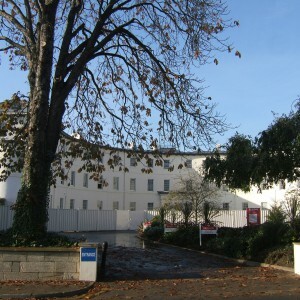 The GRH development included the closure of Hyde Lane to the rear of the asylum, demolition of the West Lodge and gateway onto that road and construction of the new hospital on much of Horton Road Hospital’s former grounds. 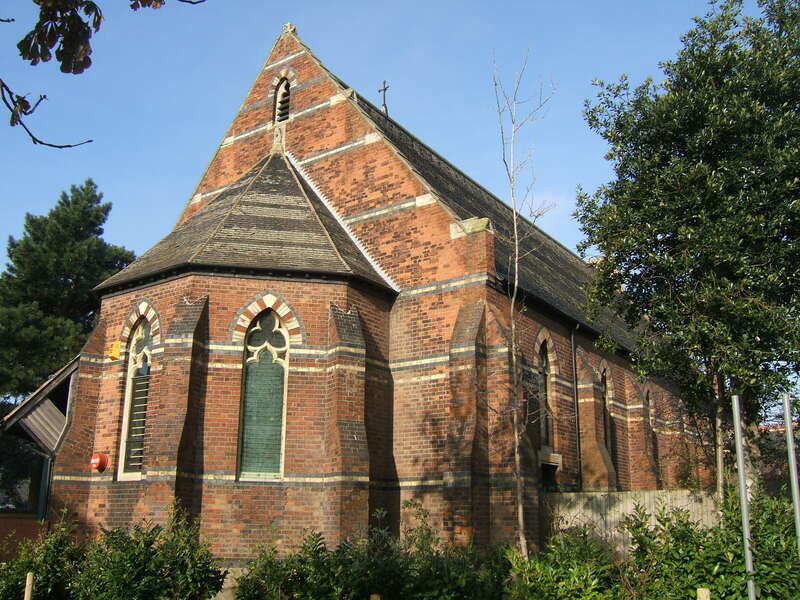 By 1983 the chapel had been deconsecrated and converted for use as the GRH’s Central Booking Office and by Whicheloe Macfarlane partnership in conjunction with their new stores building. 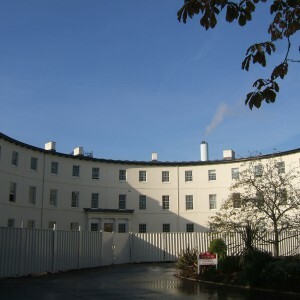 A new boiler house was also located close to complex to the north west and the grounds around Collingwood House provided space for the location of a social club and other NHS facilities. Horton Road Hospital closed on 31st March 1988, with many of the facilities it provided relocated to community settings, acute units or on a short term basis to Coney Hill Hospital. 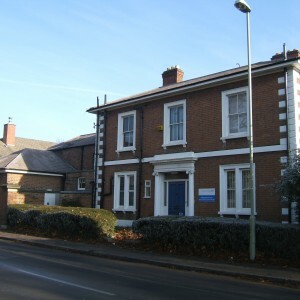 Horton Road was one of a number of early closures of mental illness and mental handicap hospitals in the south west region which had already included the Exe Vale Hospital’s Digby and Exminster Branches and the Royal Western Counties Hospital’s Starcross site. 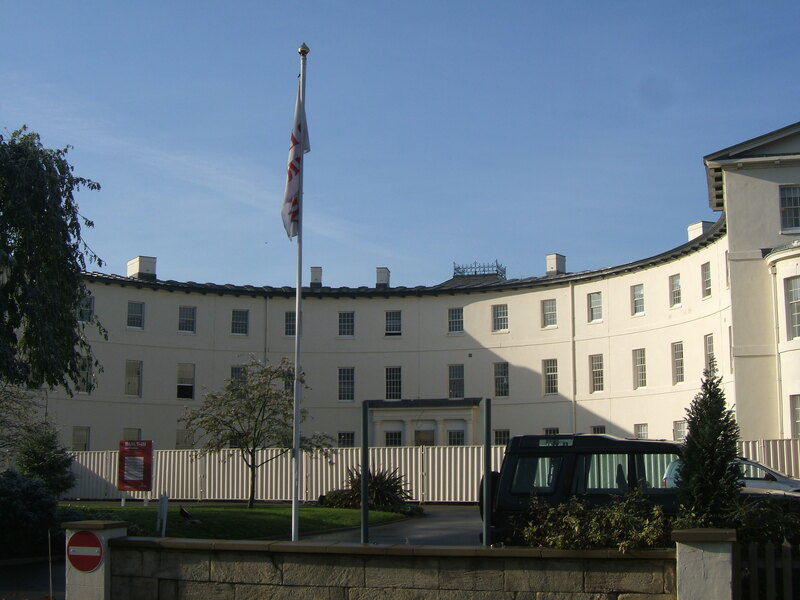 Without a prospective new use the hospital began to deteriorate and the pressure from the South West RHA to demolish resulted in the listing of the main complex and it’s railings in May 1991. 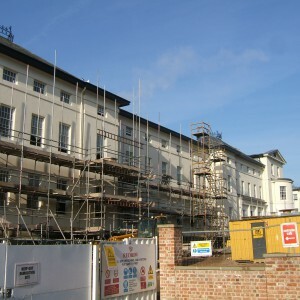 Despite listing the buildings deteriorated for many years, despite being secured until permission for conversion to residences was obtained and was largely complete by 2005. 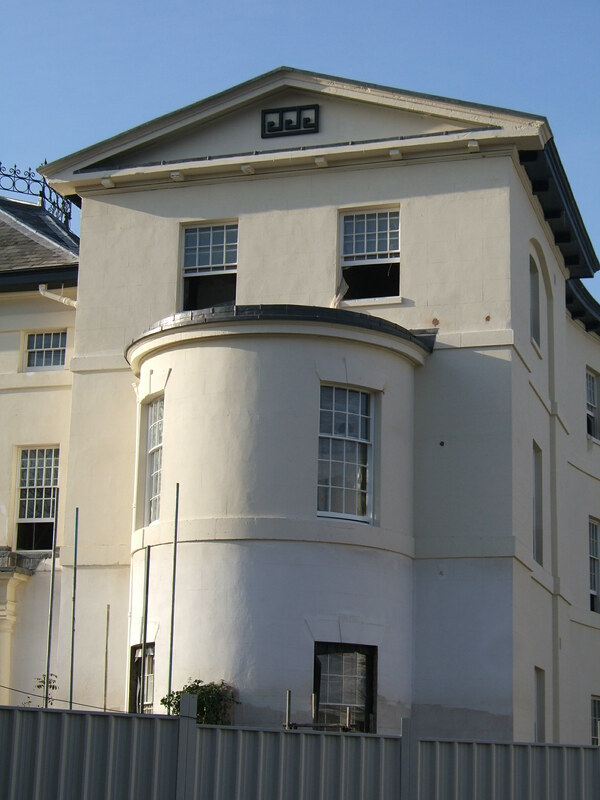 The main with it’s distinctive crescent survives in restored form as a residential conversion approached via the drive from Horton Road and retains’s it’s painted stucco and fireproof cast-iron roofing. To either side the former wings for paupers have also been retained together with their additions, although the large detached blocks set perpendicular to these have been demolished and replaced by new housing. To the rear only a short stub of the west wing remains, approximate to that originally constructed whilst all service buildings have been demolished and new housing occupies the site. 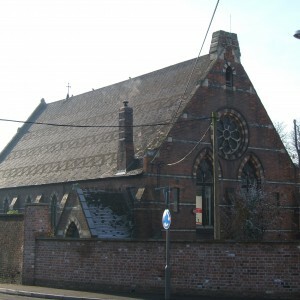 The chapel remains but has been vacated by the GRH and since around 2011 has formed part of a care home complex. 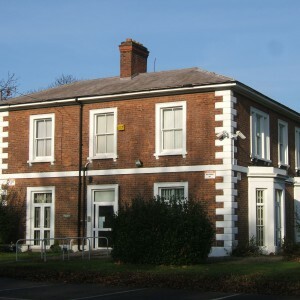 Collingwood House, the former Superintendent’s residence remains, but the area surrounding it on the east side of Horton Road has been subject to further redevelopment with a residential estate replacing the 1970’s NHS structures.